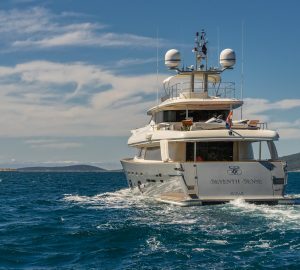 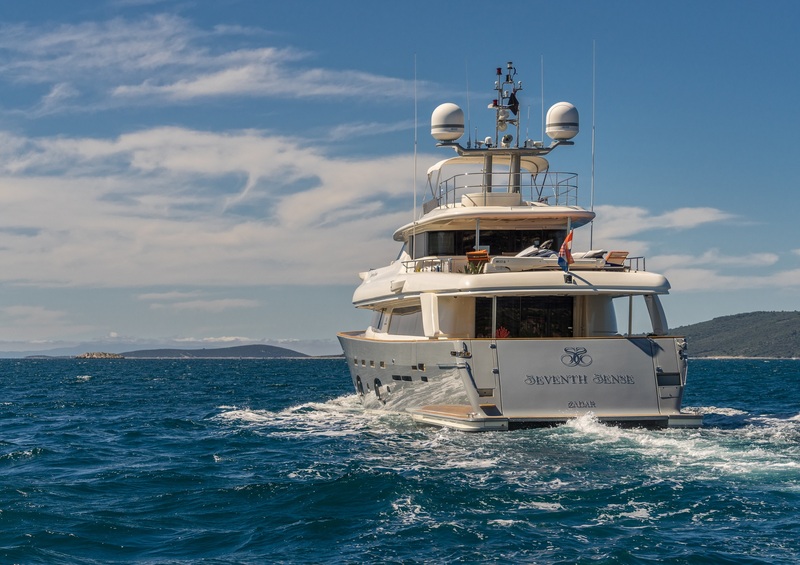 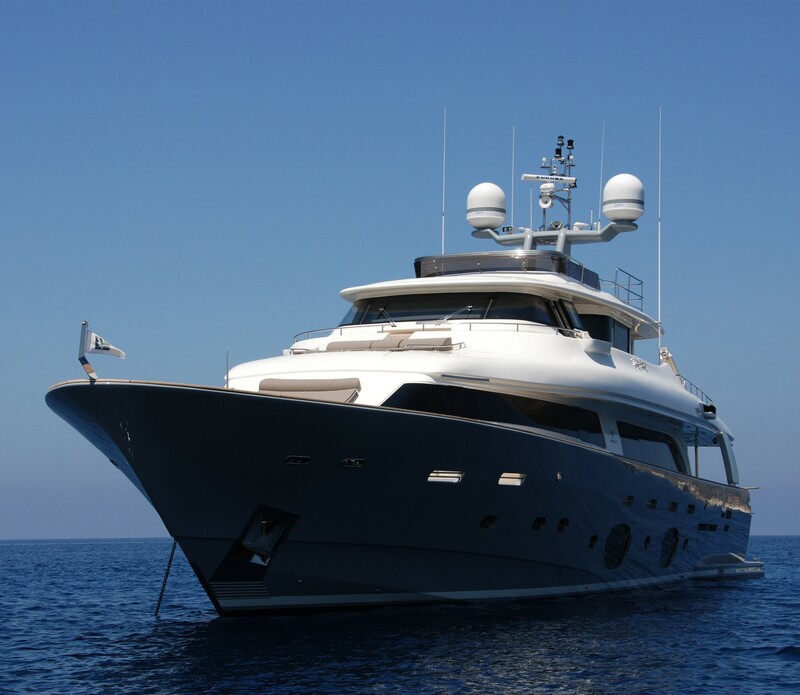 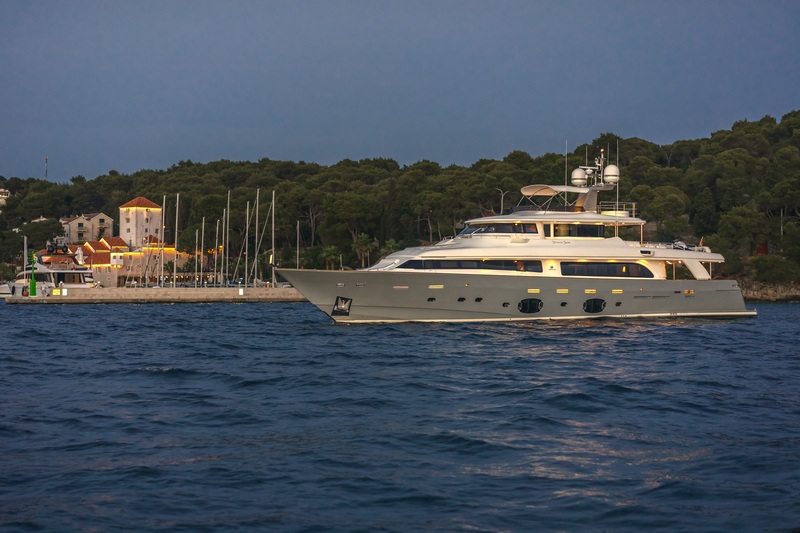 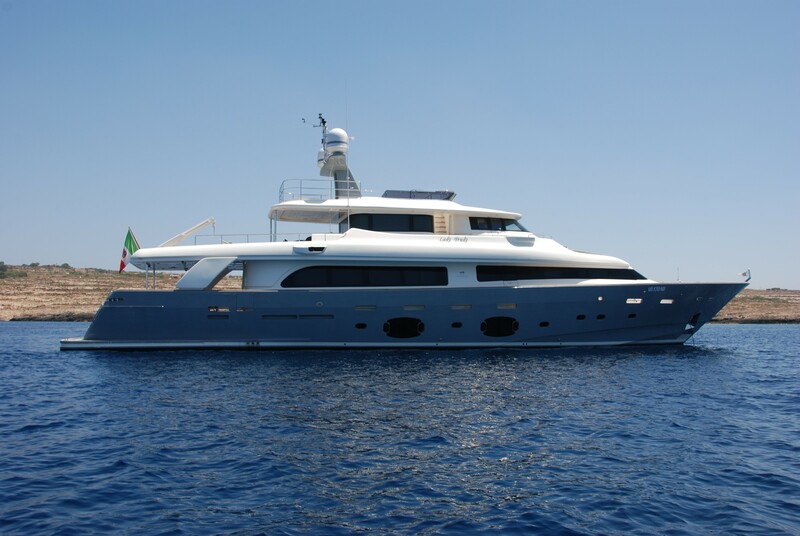 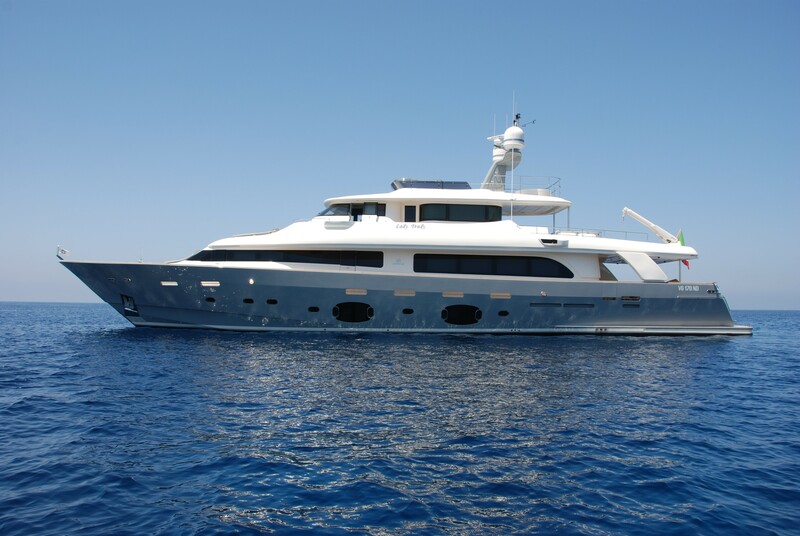 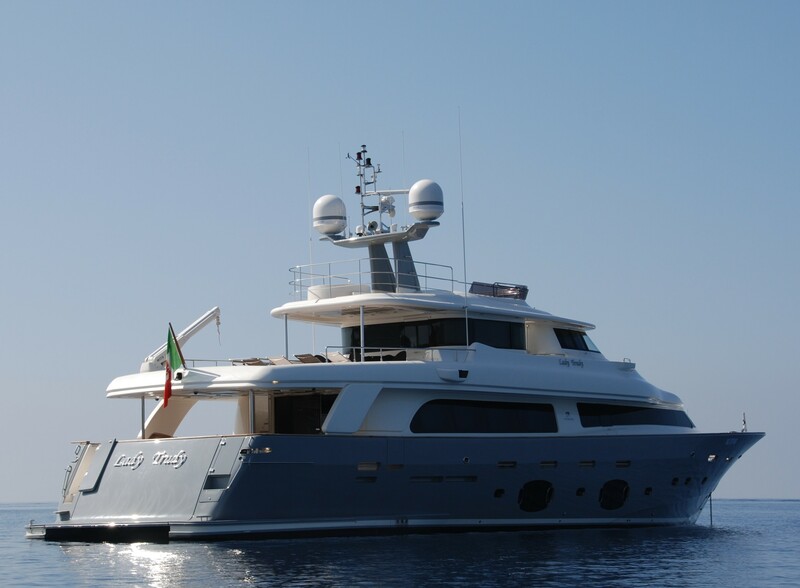 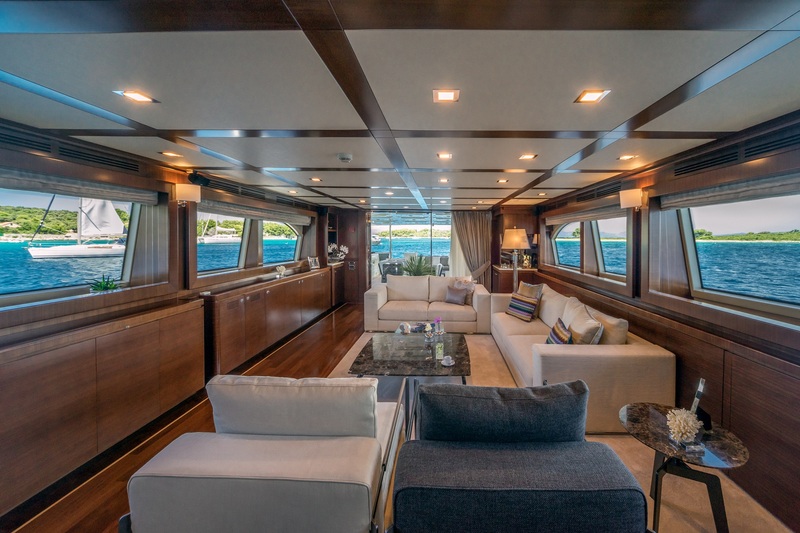 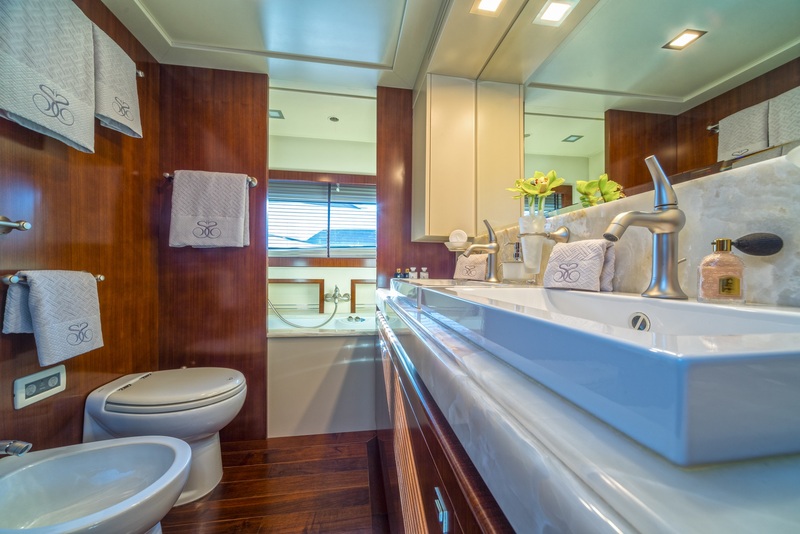 Originally custom built in 2008 by Custom Line of the renowned Ferretti Group, luxury motor yacht SEVENTH SENSE (ex Lady Trudy) is a beautiful and well sized 33-metre vessel, refitted in 2016. 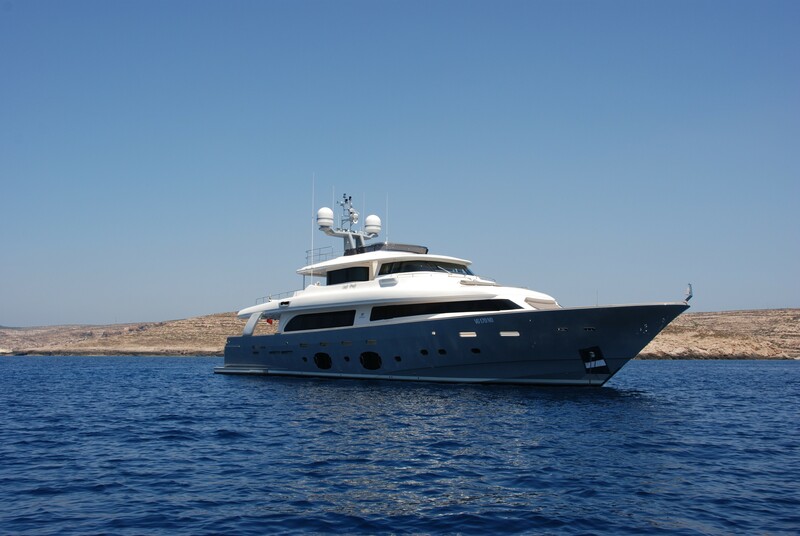 She has been entirely designed by acclaimed Zuccon International Project in collaboration with the Owners. 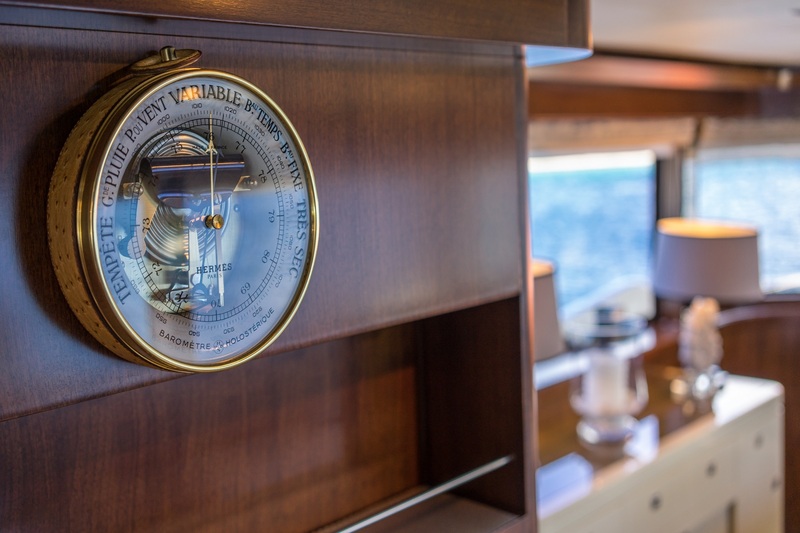 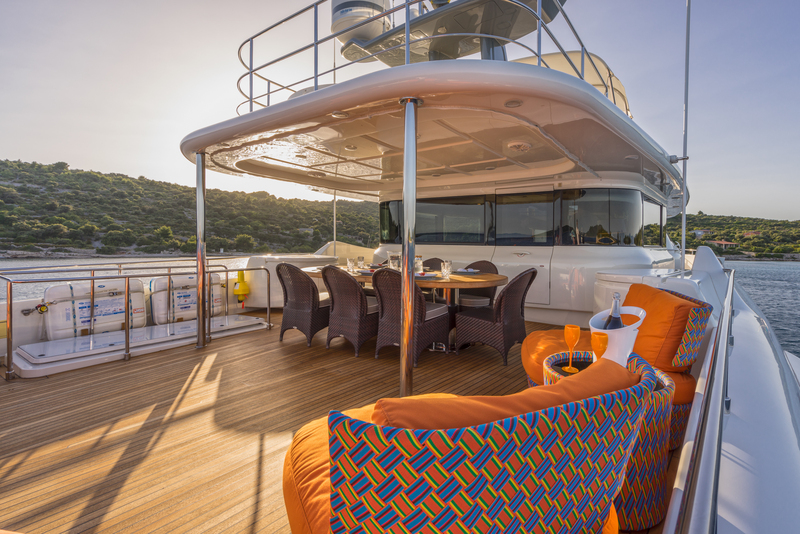 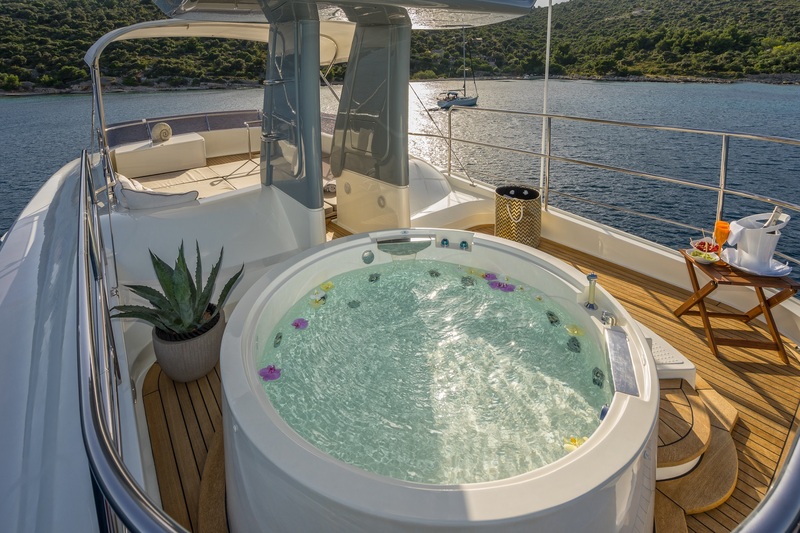 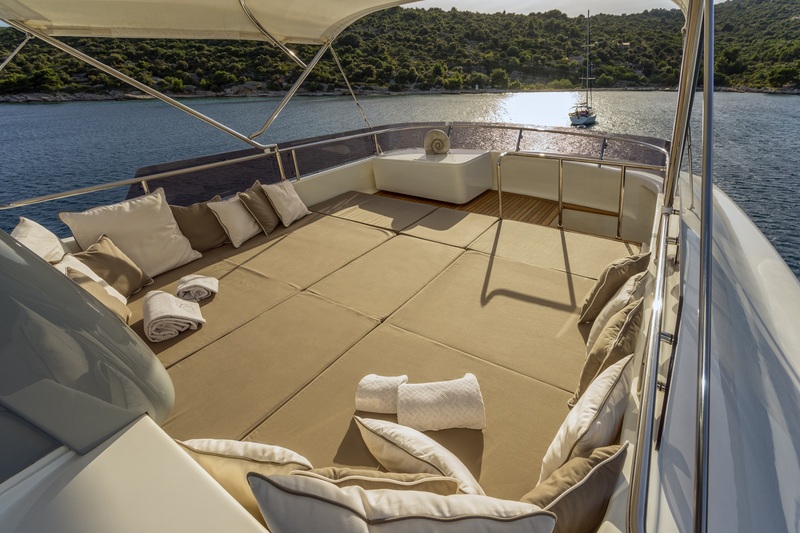 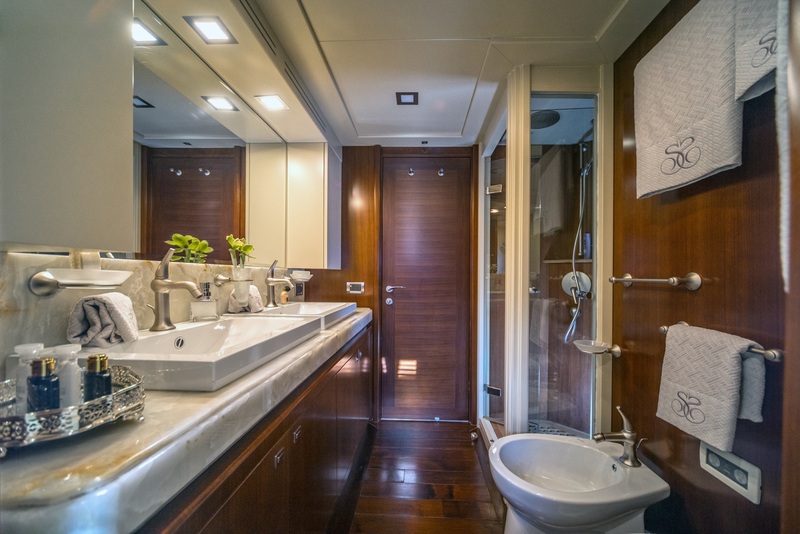 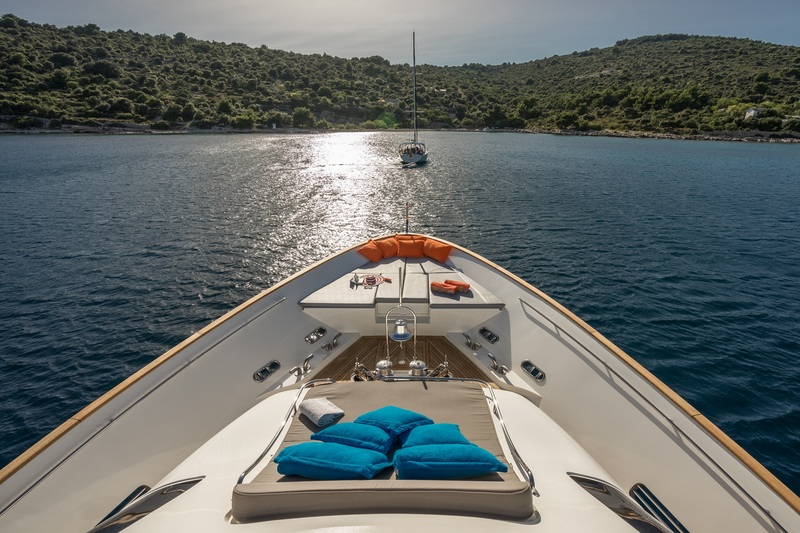 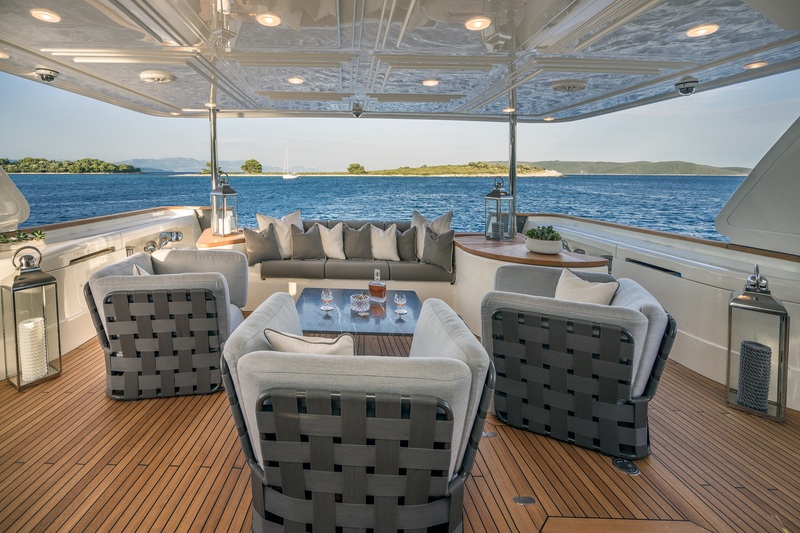 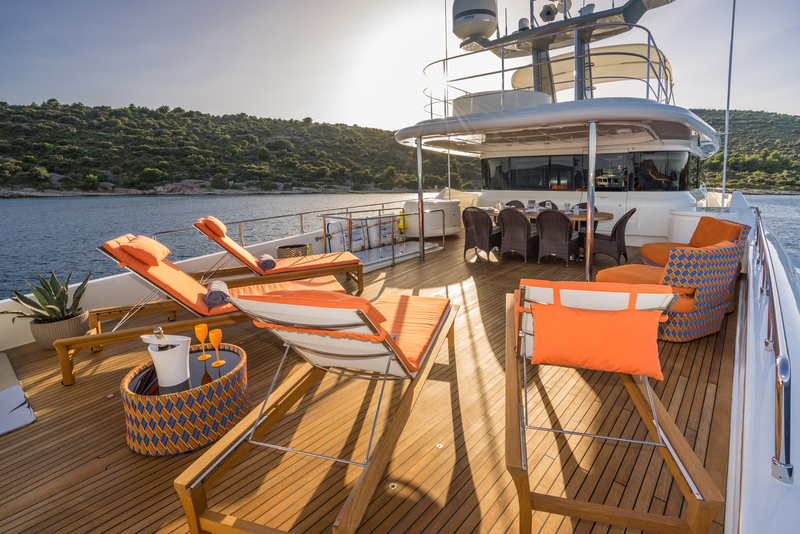 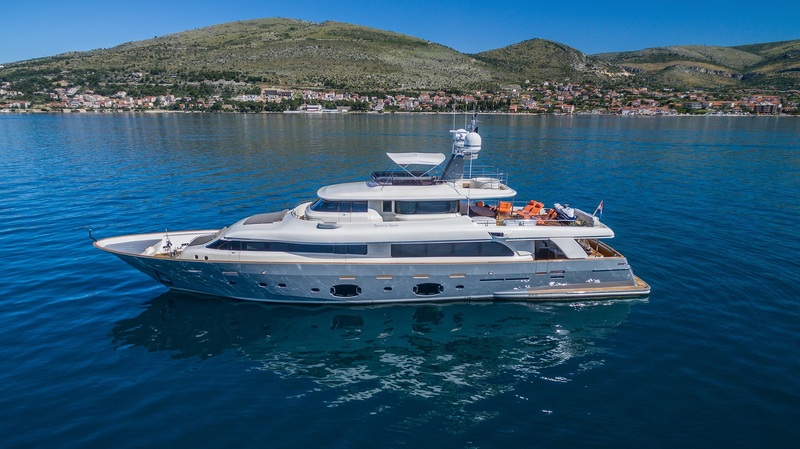 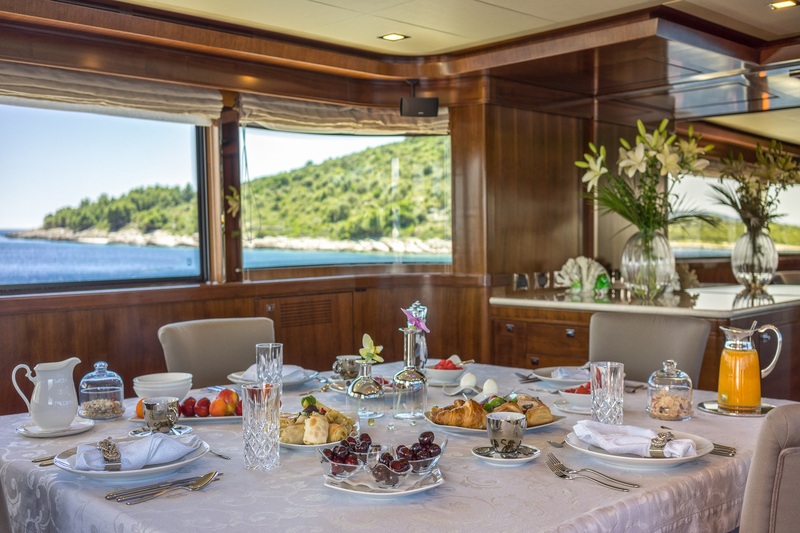 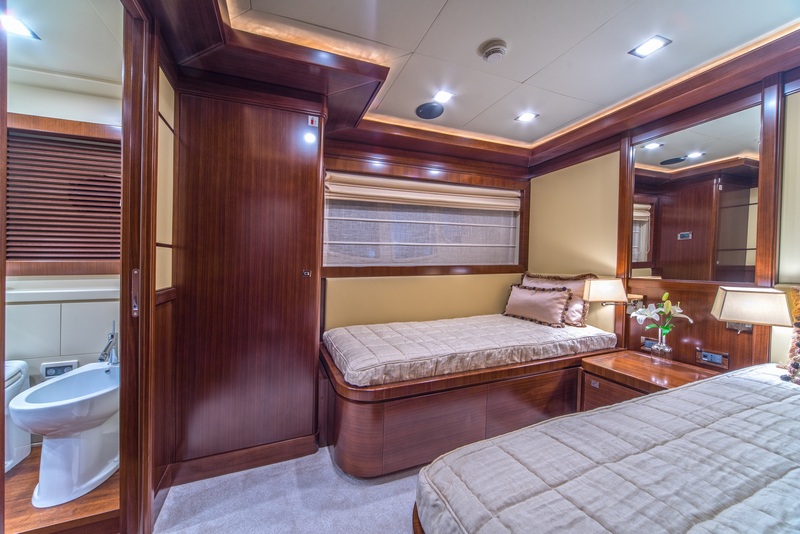 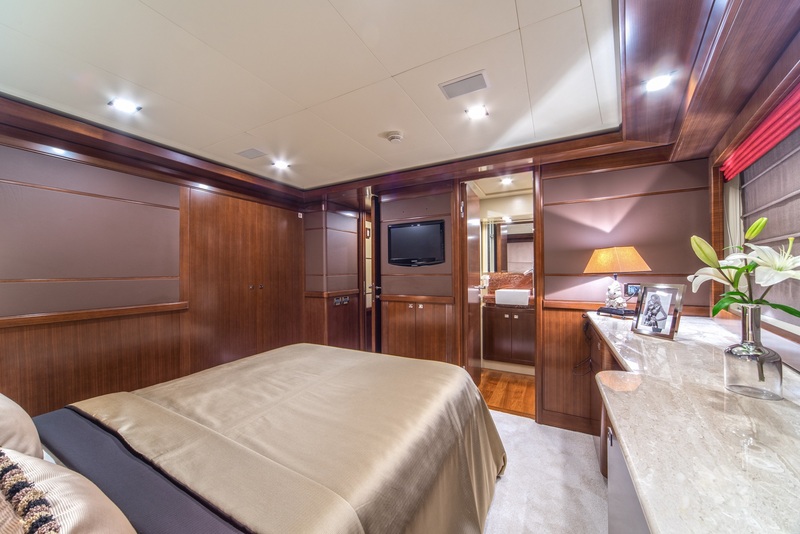 A total number of 12 people can be accommodated aboard SEVENTH SENSE in pure luxury and comfort and there is a crew of six on board. 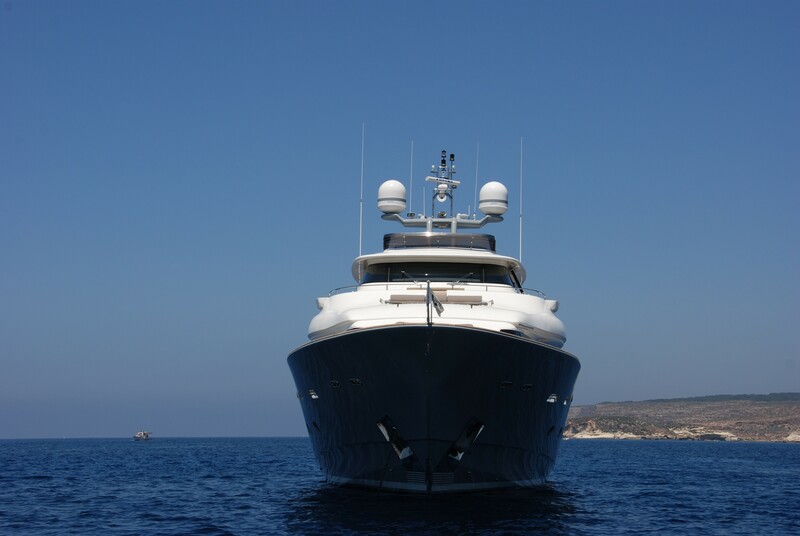 Built in composite, SEVENTH SENSE can easily reach a top speed of 19,50 knots. 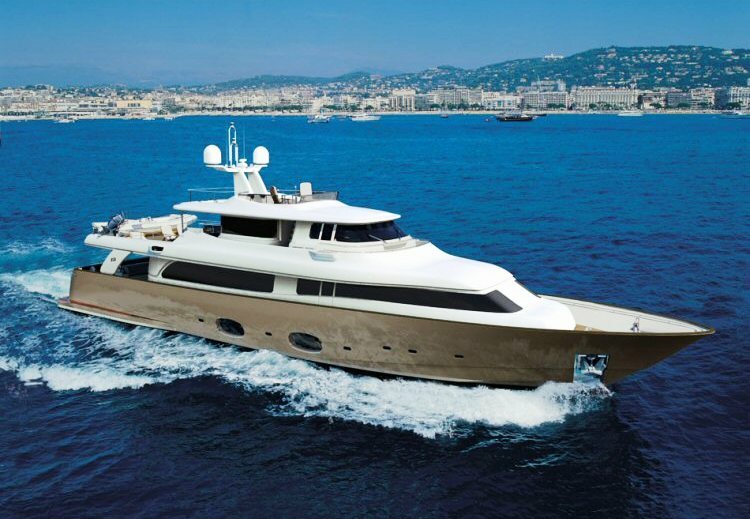 She can comfortably cruise at 16 knots and has a range of 898 nm. 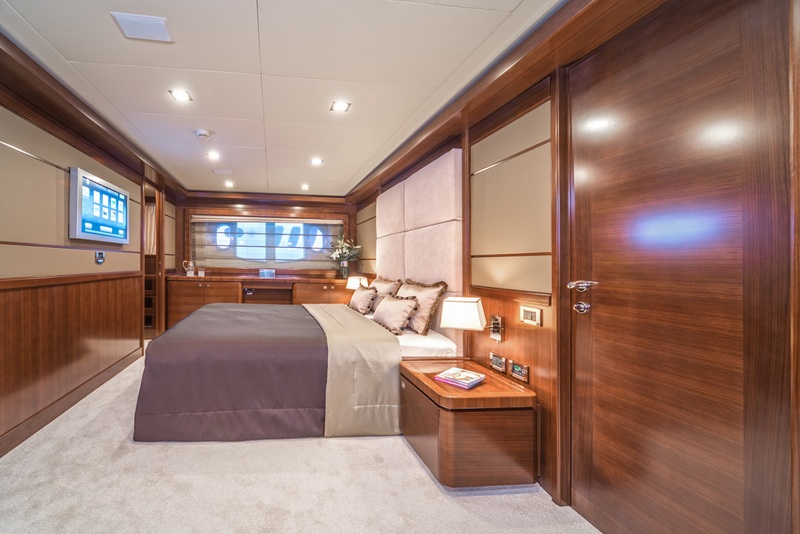 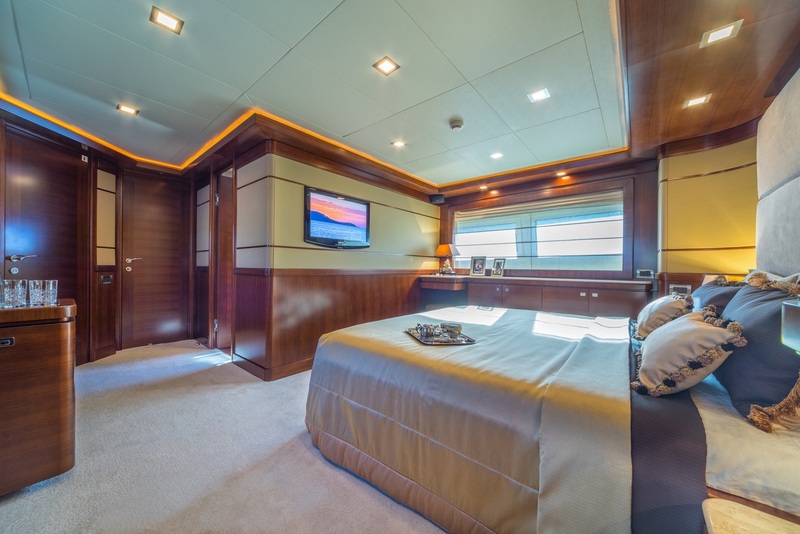 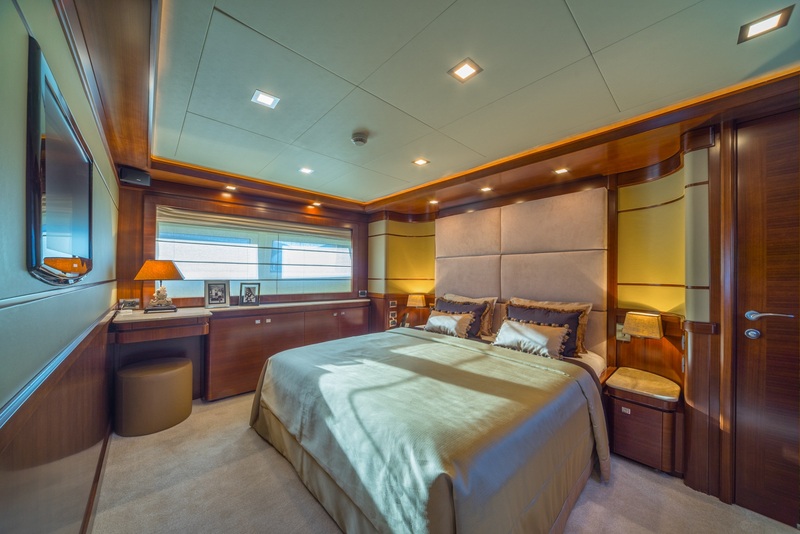 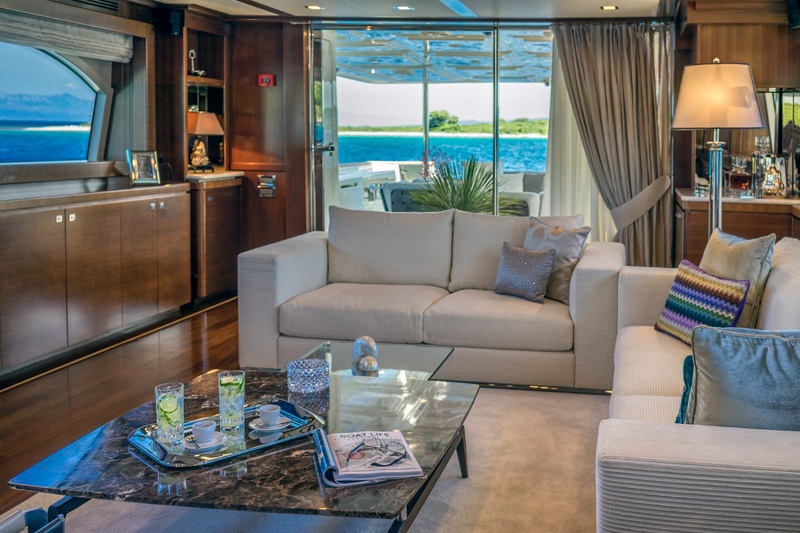 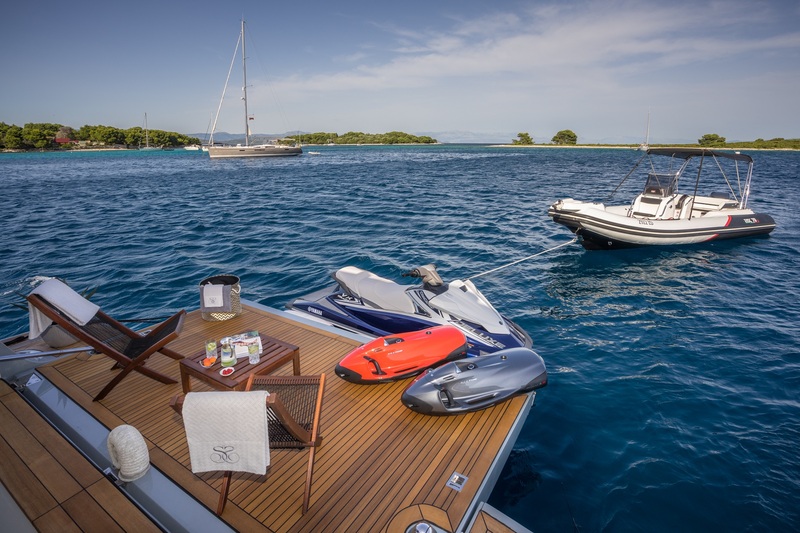 Accommodation aboard SEVENTH SENSE is offered to up to 12 guests, looked after by a crew of 5 professionals. 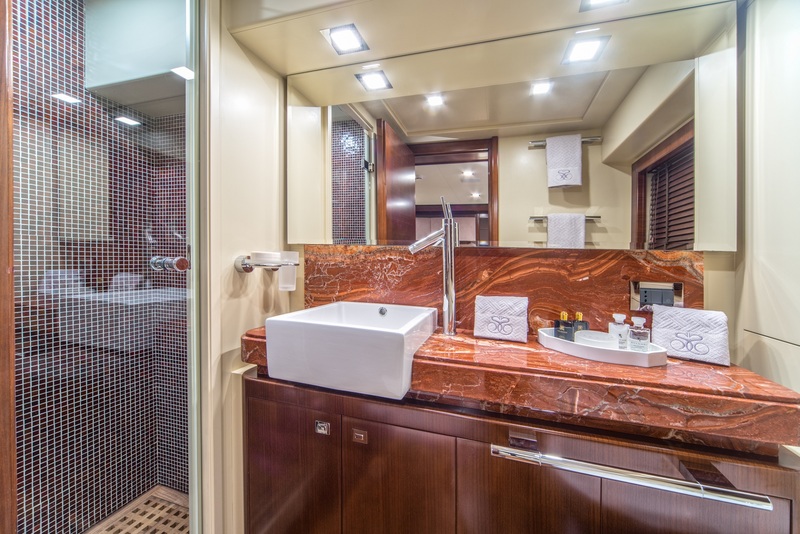 There is a magnificent master suite, a VIP stateroom, a double cabin, two twin cabins and two Pullman beds.